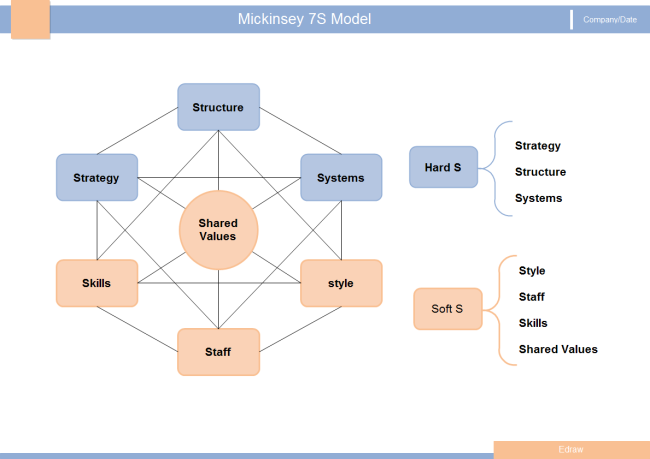 Description: Here is a simple MicKinsey 7s model example created by Edraw Max. It is easily editable and available in different formats. Enjoy all of these great schedule diagrams templates sharing platform to share your awesome creations and inspire other diagram designers. All shared schedule diagram templates are allowed to download and edit for your own designs.